We ask some of the people who are actually involved in producing products what they would like technology vendors to provide. Some of their answers are surprising. All of their answers ought to be addressed by some enterprising organizations. Next month, the 2002 rendition of the International Manufacturing Technology Show (IMTS) will be held by the Association For Manufacturing Technology (AMT) in Chicago's McCormick Place from September 4-11. In all, there will be some 1,300 exhibitors showing the latest equipment, systems and accessories in an area measuring 1.3-million ft2. To provide attendees with a better sense of what's where, there will be specific areas called "pavilions." The nine pavilions for this event are: Metalcutting; Machinery Components/Cleaning/Environmental; Controls and CAD/CAM; Gear Generation; EDM; Quality Assurance; Tooling and Workholding Systems; Metalforming and Lasers; Business Services; Abrasive Finishing/Sawing/Finishing. And for those who are more interested in learning about the trends and developments in the manufacturing arena (from equipment to strategies), the Society of Manufacturing Engineers, in cooperation with AMT, is hosting a concurrent manufacturing conference. You can learn all about this by going to www.imtsnet.org. What will be exhibited at IMTS 2002 is what product vendors have developed to address customer needs. But what about the needs that seem not to be addressed? What about the things that people in industry are really interested in? What if there was a proverbial magic wand that could be waved? What would people really want? As we were wondering about that "If you could have anything, what would it be?" question, we put it to some of the leading manufacturers in the industry. What we discovered is that while some people may think that "manufacturing" people are solely interested in things that cut or form metal or plastic, or things that screw or otherwise put things together, their actual areas of interest are significantly broader. *Programmable read/write transponder tags that can be used for such things as traceability, information storage, serialization, and the like. Yes, there are transponder tags, but not of the sort that White is looking for: ultra small, so small that they could be added to raw materials and customized after product fabrication. One more thing: inexpensive. A fraction of a cent. No more blueprints. He'd like to see a good 3D concept. Two points: he means no more blueprints, anywhere. And he wants this replacement concept to be universally deployed. A process that replaces traditional machining operations by separating materials at the atomic level. This would be directed by the aforementioned 3D model. And not only is he interested in something that separates at the atomic level, but a rapid material deposition process to build specifically tailored parts in minutes. A vision system/robotic combination that would allow all assembly operations to be performed automatically. 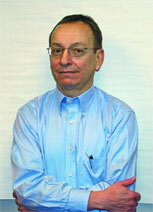 Steve Ballenger, vice president, Operations, Chassis Div. of Robert Bosch Corp., who has responsibility for 10 plants in the U.S. and Mexico that manufacture brake components, is looking for some advances that are somewhat nearer term. Ballenger is seeking "Machine tools designed and delivered with ‘adaptive learning,' and which, in all cases, are electronically linked with the machine tool manufacturer for diagnostic/repair purposes." Several machine tool builders are offering Internet-based links between their service departments and machine tools, but this is not a universal offering. And as for the "adaptive learning" aspect, while there are some pieces of machines that are offering adaptive control of one sort or another, there is a long way to go before there are machine tools with what could be considered rudimentary intelligence. Ballenger goes on to say that he's interested in "Assembly lines that are truly flexible and are built with ease-of-maintenance in mind." Or said another way: He wants assembly lines that have low-maintenance requirements. One more thing: He's looking for warranties that go "beyond the usual 12 months." Predictive capabilities that can ID manufacturing defects without any operator inspection, intervention, or review. Dynamic simulation of finite element analysis (FEA) throughout a wide temperature spectrum. Injection units and hydraulic units that don't leak. Of course, not everything that is desired is equipment- or system-oriented. They'd like to have more suppliers who understand and use design for Six Sigma methodologies, as well as those who can integrate Six Sigma-level performance in processes and process control. The ability to braze heat exchangers within a 60 second cycle time. Programmable heat exchanger assembly equipment that have a changeover time of less than five seconds, which would permit one-piece flow while meeting the customer's takt time. Shrink wrap that cures without heat or high temperatures. This would provide a number of advantages, including shorter cycle times, an elimination of hot surfaces, and the ability to pack products right away, without the need for cool-down time. UV-type adhesive that cures without the need for UV light. This would mean that there is no need for eye protection, or expensive UV equipment. Nondestructive test capabilities that would allow testing of applications that currently require destructive tests (e.g., things that have been ultrasonically welded, crimped, or riveted). Dennis Klein, manager of Project Management, North America, Siemens VDO Automotive, is seeking additional flexibility in the hardware used in parts manufacturing. He points out, "You want tooling to be more flexible in order to recapture the capital investment on multiple products and product life cycles." Klein makes another important point: "Software manufacturing is cutting edge in automotive." Just think of the importance of software to everything from engine control to braking to telematics. One of the things that he's interested in is a new means for "making" software. "There is no physical form to it. There is no history to it. It's highly intractable, which has driven people away from applying methods to it." They are, however, trying some out at Siemens VDO: "We are beginning to apply traditional manufacturing methods, such as lean manufacturing, to the production of automotive software." He's looking beyond a room full of programmers each doing his or her own part in creating software. "Software is the new frontier in manufacturing and has become so huge in automotive that methods must be applied to control and manage its mass production," Klein maintains. Benteler Automotive is not only looking for the ways and means to achieve a competitive advantage through manufacturing technology advances, but its people are also interested in finding the ways and means to reduce waste—not only because the company is committed to lean production methods (it has been awarded with a Shingo Prize for its lean operations in Grand Rapids, MI), but because of environmental awareness. Rob Depierre, vice president of U.S. Operations, says, "Our developments are intended not only to create a tangible competitive advantage for Benteler, but also to create less waste in the environment by reducing material, plant emissions and energy required to manufacture. One example is in the area of underbody e-coat systems." He's looking for in-line systems that are smaller than ordinarily available. He explains, "Smaller installations will enable lean manufacturing while reducing the high capital associated with the larger-capacity systems. Additionally, environmental advantages may be recognized through the reduction in heating requirements and the use of smaller pretreatment and waste-treatment processes." General Motors Metal Fabricating Div. (MFD) is the part of the vehicle manufacturer that is responsible for producing many of the large dies and stampings that are used to produce cars and trucks; it operates 16 facilities in North America. While one might anticipate that Dan Juliette, MFD's director of engineering, might be interested in something along the lines of a new means to cut dies or a more capable press or a laser processing system, he answers, "If we could have a magic wand, what I would really like to have is a math-based tool that would perfectly predict springback in stampings made from mild steel, aluminum, and various grades of high-strength steel. We have tools today, but they are not as precise and accurate as we would like them to be. And because of this, we still have to build manual proof tools to finish the design for the stamping dies." Juliette goes on to observe that because this software doesn't exist, "It takes extra time to develop a vehicle." They are exceedingly interested in going fast throughout the GM organization.